Federal DUI’s occur in Colorado when the DUI – DWAI as a criminal charge happens on federal property of some kind. All 50 states – and especially Colorado – have multiple areas that are under federal jurisdiction. If you are arrested for drunk driving – DUI – on federal land you will be charged with a “Federal DUI.” Colorado DUI laws and penalties are combined with federal law in these cases. If you are arrested for a “Federal DUI,” in Colorado – your lawyer must be well versed and experienced with Federal DUI laws. An arrest that is made on federally-owned or controlled land must be prosecuted under federal court. Federal DUI charges are prosecuted in the U.S. District Court for the District of Colorado in downtown Denver. It is confusing – there are two types of federal DUI offenses, those committed on lands managed by the National Park Service and those committed on other lands such as military bases. If the federal land is not under the National Park Service the prevailing state law is applied and – as discussed below – if the offense is committed on a military base or similar institution, additional penalties may apply. The BAC limit established pursuant to state law is more restrictive than the above standards. (In Colorado – it is!) Under Colorado law, followed in federal DUI cases, it is presumed that a driver is under the influence of alcohol if the driver’s blood alcohol measurement is .08 grams or more of alcohol per 100 milliliters of blood or grams of alcohol per 210 liters of breath. 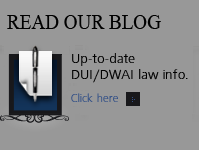 If you are charged with DUI – DWAI on other these types of federal land – the laws are different. Under these circumstances – you come under a federal law known as the Assimilative Crimes Act, located at 18 U.S.C. � 13. United States Code Title 18, section 13 is called the Assimilative Crimes Act and provides that the Laws of Colorado will be adopted for areas within Federal jurisdiction other than National Parks. Colorado has some of the finest military bases in the world – among them the Colorado Springs Air Force Academy, Buckley Air Force Base, Cheyenne Mountain, Peterson Air Force Base and Fort Carson Army Base. Basically – an arrest for a DUI on federal land – such as a military base – is prosecuted using the laws of the state where the DUI occurred – in this case Colorado of course. However, unlike other Colorado Driving Under the Influence (DUI) or Driving While Impaired (DWAI) cases, which are prosecuted in Colorado’s County Courts, these cases take place on in Federal Court – the U.S. District Court for the District of Colorado. 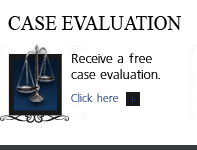 It is a very different kind of prosecution and your attorney must have experience in defending federal drunk driving cases to help you understand and explain the difference between state and federal prosecutions, and the potential penalties of each. Under Federal Law – in National Parks – remove the right to a jury for Driving Under the Influence I (first offense). Furthermore – bail is an issue and the federal pretrial services program has a right to incarcerate you while the case is making its way through federal court. In addition – the laws that govern deadlines and the requirements for filing motions with the court are different. If deadlines are missed or guidelines for court filings are not followed precisely, the case is damaged. All of this – again – making it critical that an attorney have experience in handling a federal case and understand the federal process. Also a conviction here – is recorded on your federal criminal history with no possibility for expungement unless you are pardoned by the President of the United States. This DUI – appearing on your federal criminal record – can prevent you from obtaining security clearance and may prevent you from certain job opportunities. Federal DUI cases are handled in federal courts and these are bench ( or judge only ) trials with no jury. If you are convicted of DUI in federal court, you face up to 1 year and up to $1,000 fine with no aggravating factors pursuant to Colorado’s Title 42. BUT if aggravating factors exist – a minor in the vehicle – or serious injury or death to another as a result of the DUI, federal law applies and the punishment may greatly exceed the Colorado state version of these offenses. If you are under a arrest for a “federal DUI” – you will be asked to submit to a chemical test. Pursuant to the Implied Consent Law, you must submit to a blood, breath alcohol or urine test. You may refuse – of course – to take the chemical test; however, refusal to take the chemical test can lead to loss of driving privileges on federal land for up to one year. Also – if you refuse to take the test – this may result in a misdemeanor charge, and may carry additional monetary fines, prison sentences, and denial of driving privileges on federal land. A refusal to submit to a chemical test is a misdemeanor in accordance with the CFR. A person who refused a chemical test during an arrest in a national park faces additional fines and potential incarceration in Federal prison and, if convicted, a person who refused a chemical test can be denied the driving privilege on federal lands for one year. In addition the federal authorities notify the Colorado DMV of a chemical test refusal conviction. The DMV then imposes a license revocation in the same manner it does in a Colorado State violation of the Express Consent Law. 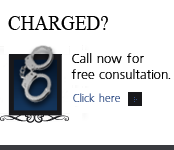 Federal DUI probation may also be far more strict than comparable Colorado state law when it comes to probation. The probation for a DUI in federal court is formal, rather than informal. That means that you have to report to a probation officer, answer much more personal questions about your life-especially alcohol and drug usage-subject your house searched, and physically and often have to report to the probation officer on a regular basis. You may also be unable to leave the country (or even the state) without permission from the court and/or the probation officer. If you have questions about Federal DUI Cases In Colorado in the Denver metropolitan area and throughout Colorado, attorney H. Michael Steinberg will be pleased to answer those questions and to provides quality legal representation to those charged in Colorado adult and juvenile criminal matters. In the Denver metropolitan area and throughout Colorado, attorney H. Michael Steinberg provides quality legal representation to those charged in Colorado adult and juvenile criminal matters…as regards Federal DUI Cases In Colorado.